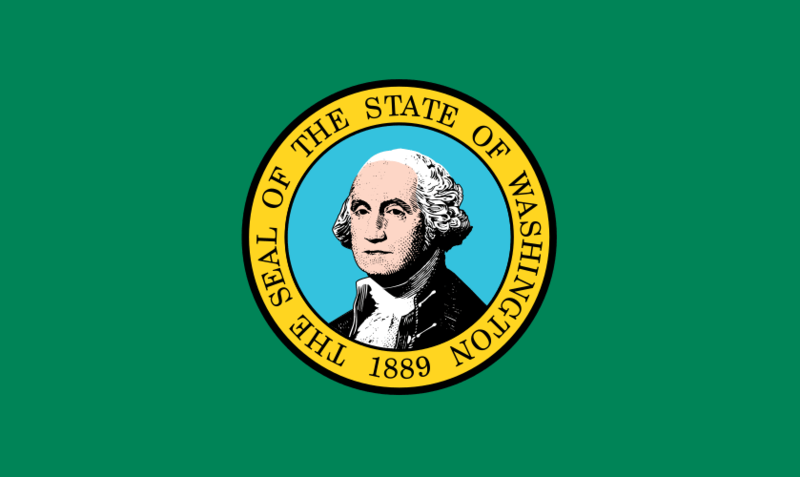 The flag of the US State of Washington consists of the state seal on a green background. The Washington state seal consists of an image of George Washington, the first president of the United States, surrounded by the text “The Seal of the State of Washington” and “1889”. 1889 is the year the state was admitted to the Union. The first iteration of this flag was adopted in 1923 with the current version being adopted on April 19th, 1967.